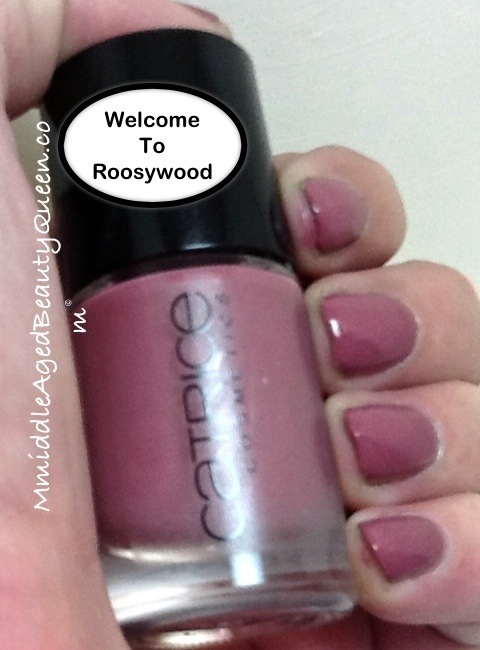 Welcome to Roosywood by Catrice is a nice ‘dusty’ rose with a hint of brown color. 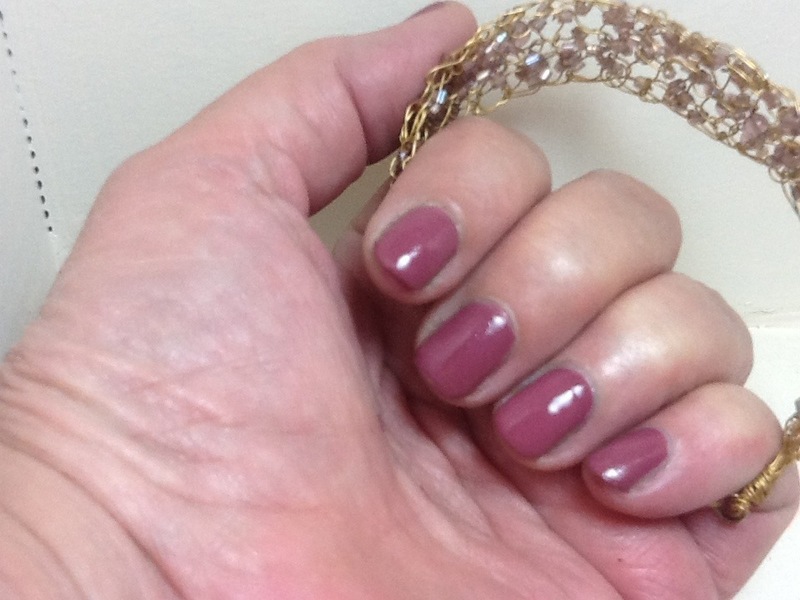 I consider this color a neutral and really love it with my skin tone. I don’t know why I haven’t worn it before. This is my pick for Week 29 of the Nail Polish Lottery Club. The number drawn was 172, and since I don’t have 172 un-tried polishes I used 1+7+2=10 to get this Catrice polish. Catrice is a German made polish and not readily available in the States. I think eBay or Amazon would be your best bet to find Catrice nail polish.. If you do have an opportunity to buy it, do it!!. Itis a great polish with some unique colors and I love their names. The formula is not too thick and not too thin, the brush is a bit wider than most but not as wide as the Sally Hansen CSM or the Wet n Wild Mega Last. 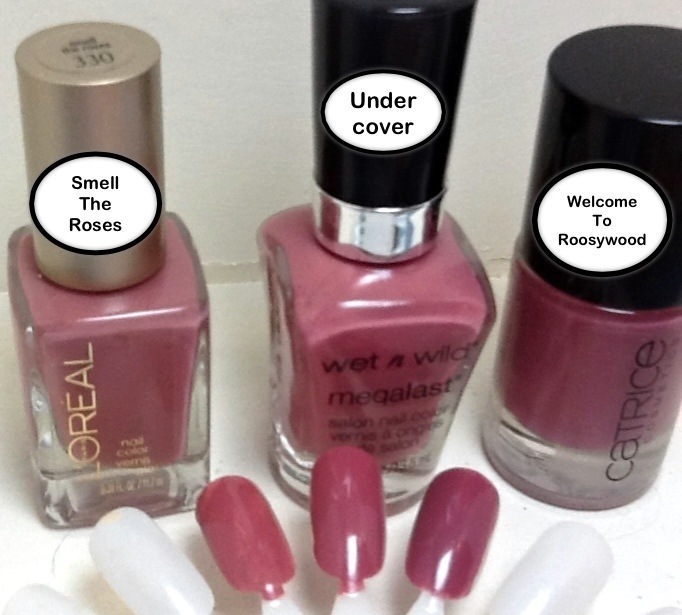 If you cannot find Catrice Welcome to Roosywod I found these in my collection that are very similar. The first one on the left is from L’Oreal Smell the Roses, one of my favorite neutrals. The middle swatch is from Wet n Wild called Undercover. These are both great alternatives to Welcome to Roosywood even though WtR is a bit more rosy and a little but darker. For more information about The Nail Polish Lottery Club , please go to our Facebook page. There you can see all the postings and get a chance to meet our fabulous members. We have so much fun sharing our picks from the weeks number that is drawn every Monday at 1pm PST. Everyone is welcome to join, or just like our page,it would mean a lot to all of us. We do not expect everyone to participate every single week, although a large amount do, and even if you just wanted to share once in a while, that is fine as well. So go to Facebook. We look forward to seeing you there!